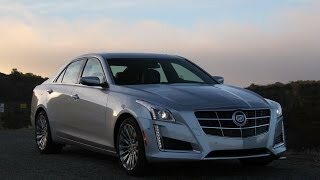 Cadillac has unveiled the third-generation CTS sedan at Manhattan ahead of its public debut at the 2013 New York International Auto Show. It ascends into the heart of the midsize luxury market with expanded performance, elevated luxury and sophisticated technology. It is based on the high-performing rear-drive architecture of the award-winning ATS sport sedan. 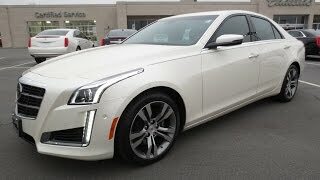 Cadillac’s shield grille and signature vertical lighting elements – including LED front signature lighting detail – evolve on the CTS. Active grille shutters are included on some models, improving aerodynamic performance on the highway to enhance fuel efficiency. Inside, a roomier, driver-centric cockpit interior with integrated technology and hand-crafted appointments complements the exterior elements. Eight available interior environments are offered, each trimmed with authentic wood, carbon fiber or aluminum. Leather seating is available, including available full semi-aniline leather, with hand-crafted, cut-and-sewn executions. 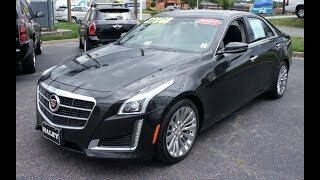 The 2014 Cadillac CTS is powered by the Twin-Turbo V-6 and eight-speed automatic transmission which is SAE-certified at 420 horsepower (313 kW) and 430 lb.-ft. of torque (583 Nm), making it the most power-dense six-cylinder engine in the segment. 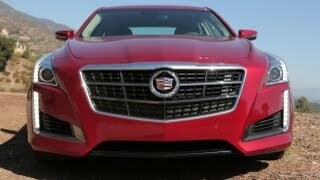 It helps the CTS sedan reach 60 mph in an estimated 4.6 seconds. 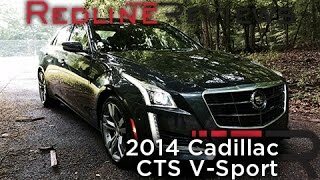 The 2014 CTS is also available with a naturally aspirated 3.6L V-6 rated at an estimated 321 horsepower and also matched with the new paddle-shift eight-speed automatic in rear-wheel-drive models (or six-speed automatic with all-wheel drive; and a 2.0L turbocharged engine rated at an estimated 272 horsepower and paired with a six-speed automatic.